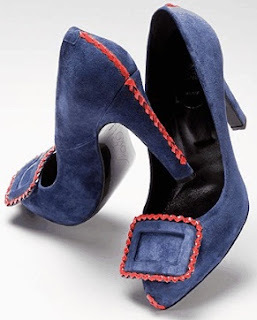 You can keep you Four Calling Birds... this shoelover would rather have feathered footwear! 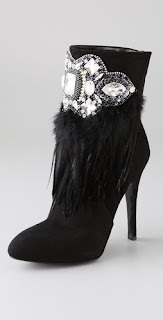 Feathered and jeweled booties by Giuseppe Zanotti for Balmain (available at ShopBop.com) will add a luxe touch a legging look or some black skinny jeans. 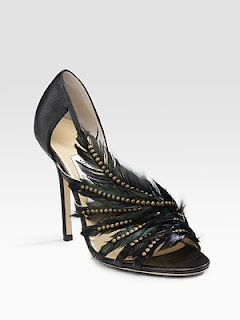 Jimmy Choo's "Mable" feather-adorned sandals provide automatic glam, too (available at Saks Fifth Avenue). 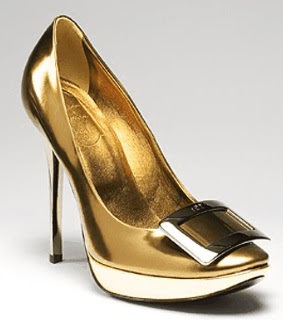 Bourne's "Hayden" satin peep toes with a jeweled feather accent are a great mix of old and new elegance. 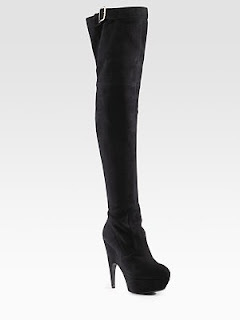 Whether worn with an LBD or a gown, they play nice with most looks (available at Lord & Taylor). Then there's the "Carla" by Martinez Valero. This peacock feathered sandal is an easy centerpiece for holiday looks and is a fun way to play up plumes (available at MartinezValero.com).